The Atomium is a “scale model” of a single iron atom, built out of aluminium. Each sphere used to be dedicated to a Belgian scientist, but now most of them seemed to be closed off. There are a number of displays in about 4 of them that you access via a series of escalators and stairs. They are pitched at kids and have information like, how different animals see. There were a number of summer camp groups crawling all over the thing. After going through the sphere we waited in the queue for the elevator to the top where you could get great views of Brussels. We did a lap, taking photos and looking through the telescopes. I think I found where our hotel was. After a quick lunch we walked down the avenue and jumped on a tram and headed into town towards the Basilica. The Basilica of the Scared Heat is a huge art deco church, constructed from concrete. 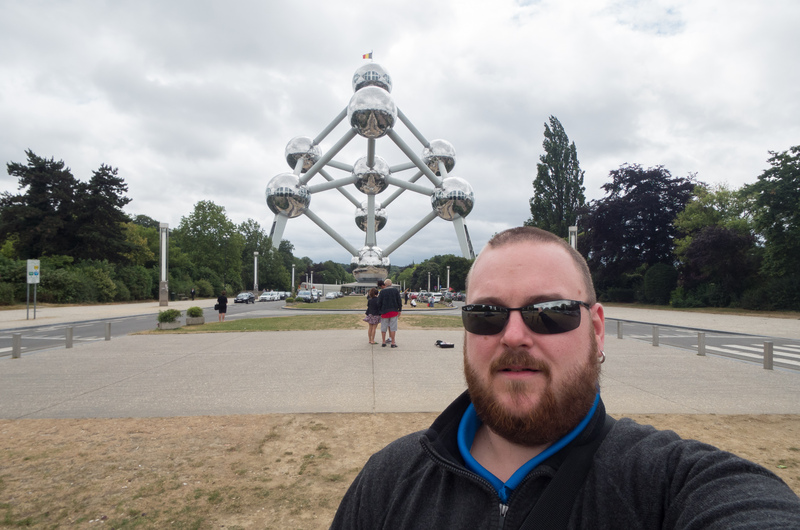 We paid a few Euros and caught a couple of lifts to the top of the dome, where you can walk around outside and get some great view of Brussels, even all the way back to the Atomium. The views from the top really were spectacular. 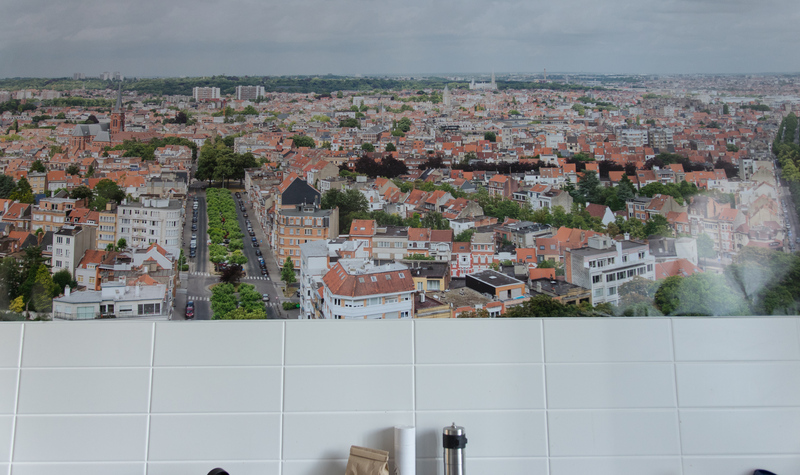 I took my time to piece together this panoramic shot which I printed large when I got back to Canberra and now covers a wall in my kitchen.